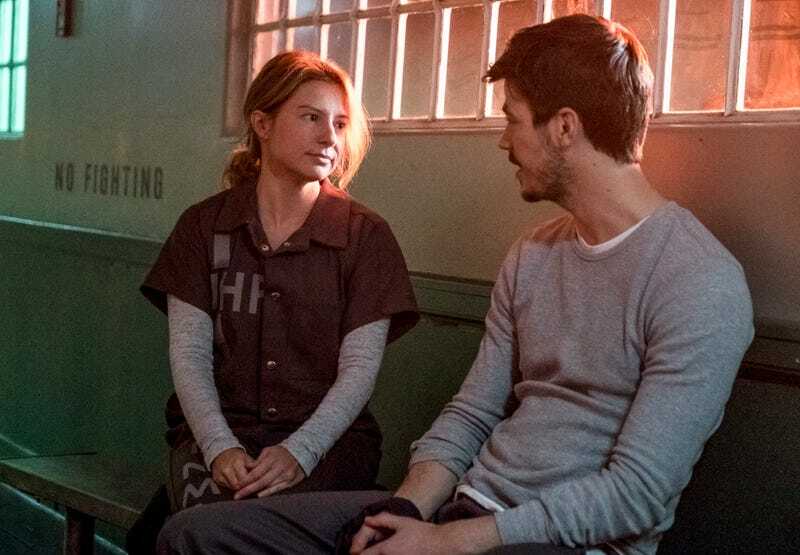 While Barry Allen has been languishing behind bars these past several weeks, much of The Flash’s entertainment value has come courtesy of Ralph Dibny. “True Colors” is no exception as it reveals another aspect of Ralph’s stretchabilty, allowing several other actors to take a turn as the character. After meeting with a seedy former business partner who reminds him what a screw-up he used to be, Ralph’s body mutates into the form of his erstwhile friend. Adding shapeshifting to Ralph’s repertoire doesn’t strike me as a great idea in the long run for several reasons, the least important of which is that I don’t think it was ever part of the original comic-book character’s range of powers. Purists may have a problem with that, but my larger concern is that this ability could be a bit too convenient for storytelling purposes. (This was also a potential issue with Cecile’s clairvoyance, but at least we have reason to believe that’s temporary.) Most of all, though—the thing that will never stop bugging me and that I refuse to suspend my disbelief for—is that fact that Ralph’s voice changes to fit each new character he takes on. How would that work, exactly? At least give me some pseudo-science mumbo jumbo explanation to let me know that the writers have considered the absurdity of this development. But no, Harry is away on Earth-2 this week, so we get nothing. Having said all that, Ralph’s new ability proves to be the most enjoyable aspect of this strangely disjointed hour, especially once he disguises himself as Warden Wolfe and Richard Brooks gets to cut loose as Ralph-playing-Wolfe. He plays the physical comedy of Ralph getting his sea legs in a new body to perfection, and manages to capture enough of Hartley Sawyer’s twitchy rhythms to sell the performance. Ralph’s dismay about screwing up the assignment when his body reverts inevitably leads to a Team Flash Pep Talk, but this is one of the more self-aware instances, with Killer Frost reassuring Ralph that he can’t possibly let the team down as badly as she has unless he tries to kill them. I’d love to think this means the writers realize they’ve reached the end of the line with this particular trope, but I’ll believe that when I see it. On the other side of the tracks, the Barry-in-prison storyline continues to frustrate. The set-up this week has potential, as Barry has been transferred to the metahuman wing at Iron Heights to await his sale to Amunet. He is forced to team up with a quartet of his recent foes in order to escape, a premise that fails to reach its full potential. It never makes sense that the bus metas don’t realize he’s the Flash until the warden reveals it near the end; they know he’s a cop and they know he’s a speedster, so who the hell else would he be? 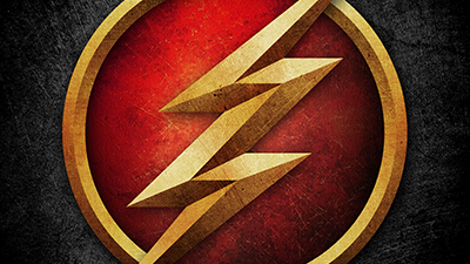 Granted, Central City has been beset by a series of evil speedsters, so there is at least a little plausible deniability here, but since all four metas will be dead or repurposed by the end of the episode, why not make it clear early on that they’re teaming with their nemesis out of convenience? That might have added a little juice to their trek through the sewers, but instead it’s a rather dull slog imbued with a touch of pathos via Hazard’s earnest-but-doomed longing to go straight. Instead, the real warden gets the drop on his prisoners, but the sale to Amunet is foiled by DeVoe, who saps the powers from the bus metas and takes on the form of Hazard for...reasons? I confess, I have no clue what’s going on with the DeVoe saga anymore. They’re always eight chess moves ahead, except when it comes to Ralph posing as the original DeVoe, suddenly alive again, showing up just in time for Barry’s appeal to be granted. Barry’s original trial was so absurd, I suppose it only makes sense that the resolution should be even more ridiculous. Maybe the judge should call a recess in order to, I dunno, take the fingerprints or test the DNA of this suddenly not-dead man showing up in the courtroom before releasing his murderer? Cecile is right that Central City is the home of miracles...including shapeshifters, dating all the way back to the first season! But fine, judge, no need to look into this any further. Let’s just be done with this misbegotten storyline already. So I guess DeVoe-as-Hazard slipped the Mechanic a love potion at the end? I give up. Maybe this continuous recasting of the character was planned all along, but it increasingly feels like desperation. Hey, fans loved Sugar-Lyn Beard earlier this season! Let’s bring her back! Is Iris wearing a bathrobe in her visit to Iron Heights? Perhaps as a make-up call for altering Ralph’s powers for the screen, the writers pay homage to his comic-book origins by having him order a Gingold on the rocks. It’s hiatus time again, as we’re off until February 27th.